YSoft SafeQ is a world-class enterprise print management suite of modular solutions enabling organisations to take control of the print environment, reduce costs, increase document security and compliance, enhance office productivity, and minimise the environmental impact of printing. Whether your organisation is a large bank, an insurance company, a university, a small independent business, or a non-profit or government organisation, YSoft SafeQ gives you complete access and control of your print environment adhering to corporate governance All of this collected intelligence helps your back-office run smarter and more efficiently! Contact your local Xerox partner for information. Rule-based Print allows you to set your organisations printing policies based on user accessibility and corporate print governance. Reporting provides consolidated and detailed reports per user, department and/or device to determine cost allocation, consumption, utilisation and efficiency of your print environment. Pre-defined or custom reports can be easily accessed and displayed via the web or an MS excel document. Scan Management provides simple and secure one-click scanning to your email or pre-defined folder. Scanning workflows can be customised and seamlessly integrated with existing business processes. Professional Services ensures seamless design, delivery and utilisation of the YSoft SafeQ suite of solutions through our standardised Global Operational Excellence (GOE) framework. Most organisations don't know how much they spend on print-related costs or how their printers are being used. This makes it very challenging to optimise the print environment and identify opportunities for reducing costs, security compliance and increasing productivity. YSoft SafeQ offers proven solutions to monitor and manage the entire print environment to reduce costs, increase workflow efficiency, secure data, and protect the environment. Unknown cost of printing. Incomplete tracking and lack of centralized reporting makes it difficult to optimize the print environment or identify areas of waste. Inefficient workflows. Users have to perform extra tasks that result in wasted time and lower productivity. Reduced productivity. Users' inability to print at the most convenient printer in the organization or to send print jobs remotely reduces productivity. Unrecovered costs. Incomplete allocation of print jobs to clients and departments results in billable costs which are not recovered. Security risks. Sensitive data may be exposed to unauthorized people – and may even result in compliance violations. Harm to the environment. Wasted paper, consumables, and power result in unnecessary costs and undermine an organization's environmental initiatives. Time-consuming administration. Deployment and ongoing management, including user access roles and rights, are difficult, inefficient, and time-consuming. The YSoft SafeQ print management solution integrates seamlessly with Xerox printers to leverage Xerox advantages and make the entire print environment more secure, productive and cost-efficient. Detailed tracking reduces print costs – centralised, comprehensive reporting of every print, copy, and scan enables your organisation to control costs. Simplified workflows allow users to print, copy, and scan using easy touchscreen menus on any printer throughout your organisation. Higher productivity – users can print at the most convenient printer in the organisation and send print jobs remotely via Mobile Print. Multilevel project accounting enables jobs to be allocated to clients or departments for more accurate billing and budgeting. User authentication and secure printing protect sensitive data and help ensure regulatory compliance. Environmental benefits include reduced use of paper and toner and the ability to track the reduced use of natural resources. Easy administration, with centralised management across the entire print environment – from deployment to setting rules, roles, and rights. 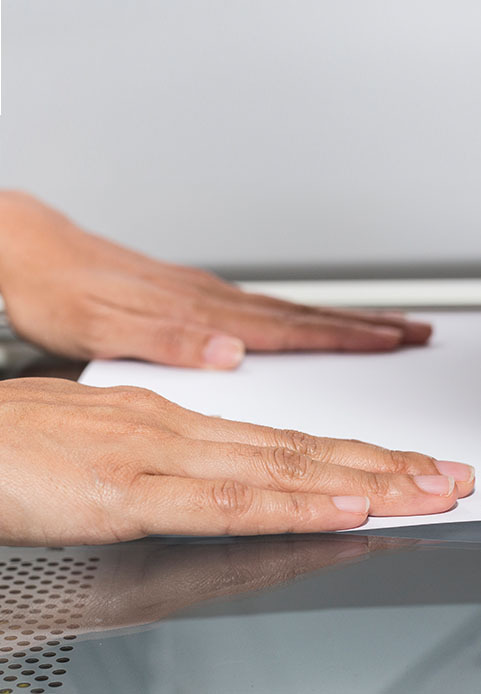 With Xerox and YSoft SafeQ, you have unparalleled control over your print environment. Optimised print environment. Xerox's complete range of MFPs combined with YSoft SafeQ's comprehensive reporting enable your organisation to implement a right-sized printing environment that works more efficiently. Secure information. Easy user authentication at Xerox printers, secure print queues, rule-based printing, and user roles ensure that sensitive documents and information are always protected. Empowered employees. Users are able to make full use of Xerox printer capabilities with YSoft SafeQ's easy-to-use features that make printing, copying, and scanning easier and more convenient – such as pull printing, favorites folders, mobile printing from any location, and more. Reduced costs. Efficient Xerox printers and the YSoft SafeQ print management solution help your organisation eliminate waste of all kinds with better cost accounting, fewer unnecessary print jobs, and more environmental savings.